MEREDITH, N.H. -- Fighting back criticism that he's not concentrating enough on the early nominating states -- or engaging enough in retail politics -- Marco Rubio went out of his way to meet with voters here on Monday afternoon. The Florida senator made a rare public retail campaign stop at a tiny diner here on a day when multiple news outlets raised questions about a campaign strategy that seems to prize fundraising and cable media at the expense of traditional retail politics. At the stop, Rubio seemed determined to prove his critics wrong. He stayed for over an hour, shaking every hand, answering every question and taking every picture. He patiently parried a series of pointed questions on immigration from a Democrat enjoying lunch at the diner. He outlined why his time as speaker of the Florida House gave him ample executive experience to a skeptical diner. He juggled candidate and dad duties, checking in to make sure his kids had enough to eat and at one point leading his son to the bathroom. And his wife Jeanette made a rare campaign appearance, working the room behind him and chatting pleasantly with patrons about her kids, their travel and the weather. “Commercials introduce you and may send a message, but people want to talk to you and interact with you about it, and that¹s what we intend to do a lot of,” he said. He went on to tell the diners about a long-term vision for the campaign that seemed to suggest more retail politicking was to come. A campaign, he said “runs an arc." But Rubio’s declaration that he’ll do “a lot” of one-on-one time with voters comes in contrast to months of campaign events and appearances that featured the opposite. His stops in the early states have, until now, been largely highly staged, tightly controlled affairs, where the candidate would typically shake hands for a short period on a rope line before dashing off to the next stop -- or another fundraiser. Yet Monday’s stop might not put all of those concerns to bed. The little diner could seat about 60 patrons, and it was packed when Rubio walked in, offering him ample opportunity to shake hands and take questions. But about half of the patrons appeared to be committed Rubio supporters, including a handful of whom who were already organizing for him in New Hampshire. 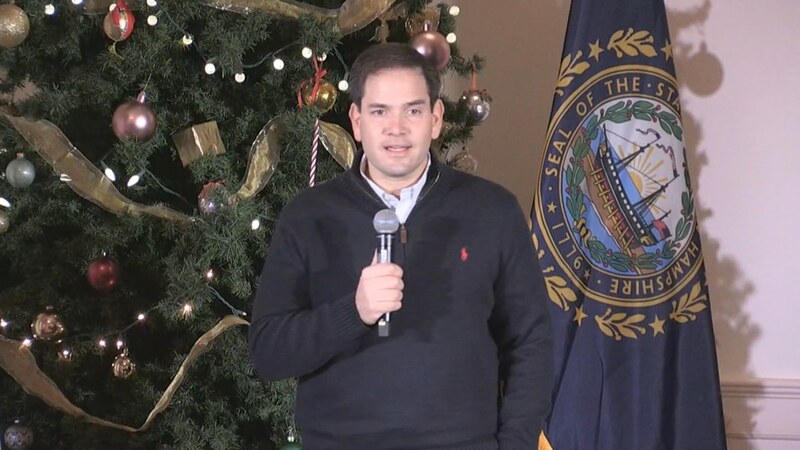 They included Norman Silber, a former Miamian and attorney who introduced Rubio around; Mike Moffett, who told Rubio he's offering his home to the campaign while he's on vacation; and Larry and Naomi Getman, both town chairs for Rubio in Bow, New Hampshire. 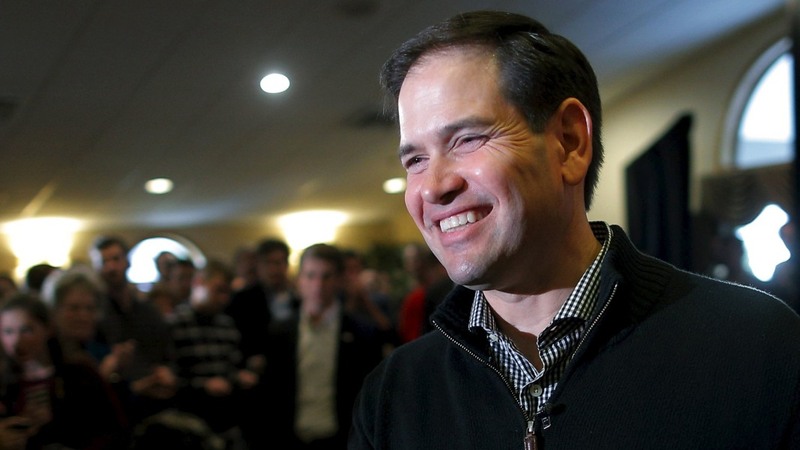 A Rubio aide confirmed that the campaign did in fact invite supporters out to see him at the diner. Not a half hour after the senator left, the diner was nearly empty, with the lunch rush -- and Rubio fans -- dispersed. Even Larry Getman acknowledged that, initially, Rubio hadn't been spending enough time in the state. But he said the Monday stop was a hopeful sign. “I think probably early on, maybe he wasn’t [spending enough time here]. But he was here three days last week. He’s gonna be here after the Christmas break,” he said. “I’m not really a campaign manager type, so I don’t know how much is enough. But I know that the people that do hear him speak, they have to leave impressed. He has a great message and he's able to articulate it very clearly, I think,” he added.